The following is to assist you (particularly visitors for mid week tournaments) with parking options when visiting Birkenhead Bowling Club. 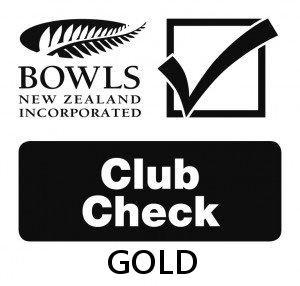 There are parking spaces outside the clubrooms, but numbers are limited. For mid-week tournament days we try to keep these free for visiting teams. (We can double park in here as well – cars will need to be shifted at the end of the day if required, for those leaving). The bar staff park is to be left free for bar staff parking only. The school car park can be used, but only durring weekends and public holidays. Note – the school carpark is a tow away zone durring school hours. 3. Birkenhead Kindergarten: 97A Mokoia Road. All day parking (free) is available on Mokoia Road across the road from the bowling club, Note: outside the club is P120. 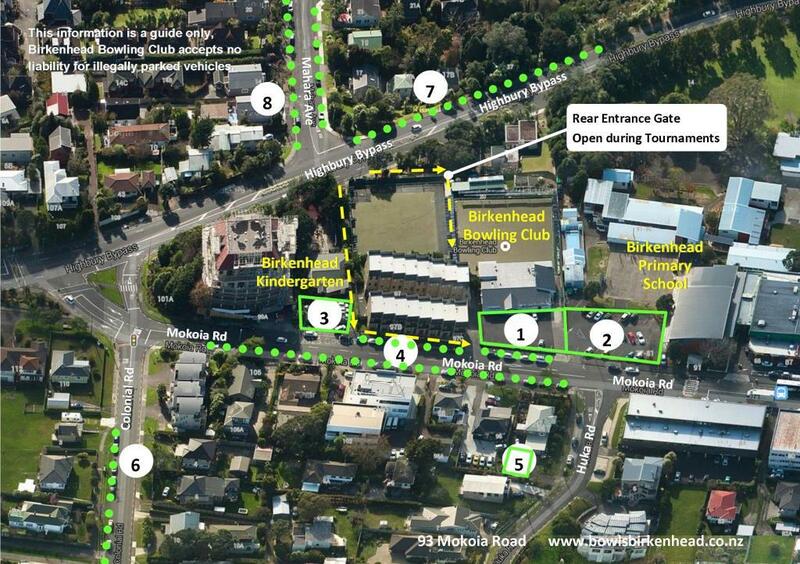 Parking is available from Huka Road to Colonial Road on the southern side of Mokoia Road. 5. Parking at this location is no long available. Free all day parking available on both sides of the road, other than the topmost portion on the left hand side. Free all day parking available on northern side of the road, available where indicated. Check road signs. Free all day parking available on both sides of the road available where indicated. Check road signs. *Access to the club can then be gained by crossing Highbury bypass and taking the walkway through to Mokoia Road (past the kindergarten). Turn left to the bowling club. Or via the rear gate at the top of the drive to the green keepers shed. And remember, car pooling saves petrol and car spaces!!!! do check parking signs once parked. 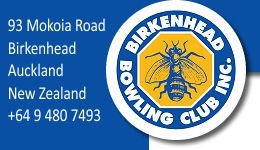 This information is a guide only, Birkenhead Bowling Club accepts no liability for illegally parked vehicles.